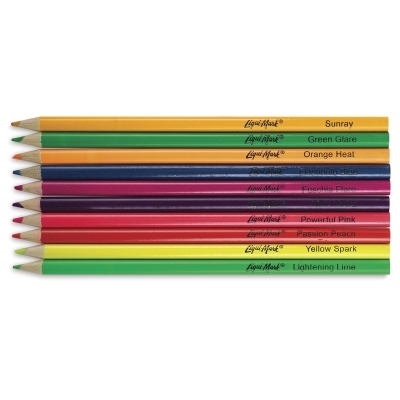 Add splashes of neon to your drawings with these these colored pencils in a variety of bright, vivid colors. 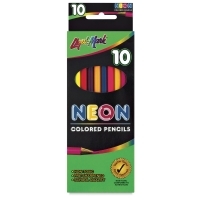 Liqui-Mark Neon Colored Pencils have hard, school-quality cores that are long-lasting. 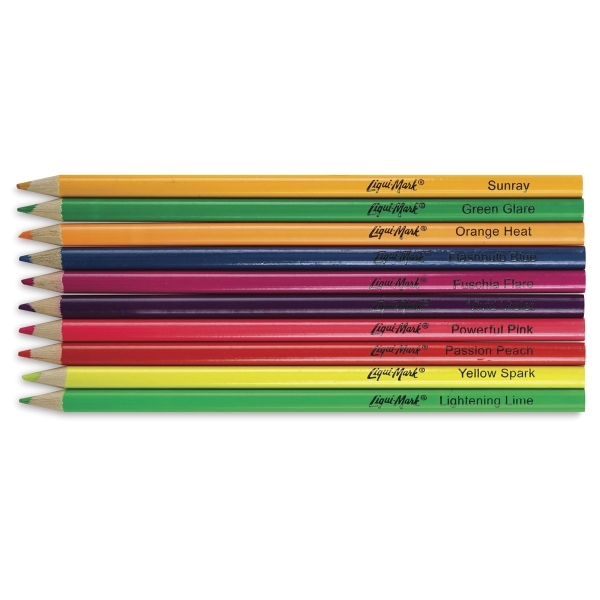 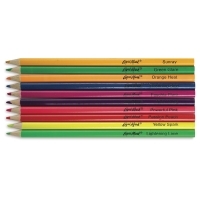 The set of 10 pencils includes one each of Orange Heat, Yellow Spark, Vivid Violet, Sunray, Passion Peach, Lightening Lime, Flashbulb Blue, Green Glare, Fuschia Flare, and Powerful Pink.